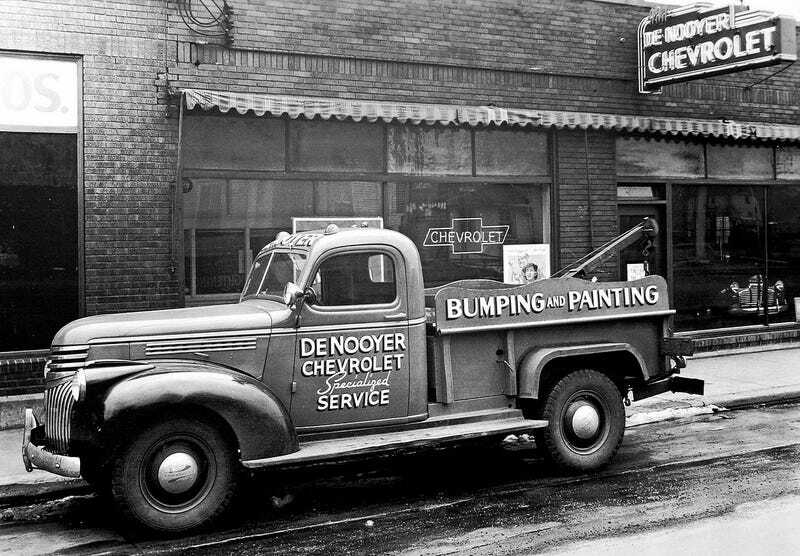 De Nooyer Chevrolet, Holland, Michigan. Some time in the 1940s? The dealership is still in business today. Anybody know what “bumping” means?